Perched on the 20th floor of the Millennium Tower, one of Boston’s finest luxury buildings, this stunning home offers 2 beds, 2 baths and 1,366 square feet of extraordinary living as well as one full valet parking space. Floor to ceiling windows throughout allow for an abundance of natural light and unparalleled Boston views. Ideal floor plan features open kitchen, living, dining layout, perfect for entertaining. Sleek designer kitchen by Poggenpohl features high end finishes & appliances, wine fridge, center island with seating for 4 and tiger wood custom cabinetry. Master bedroom offers king-sized bed wall, floor to ceiling windows, generous custom built walk-in closet and spa-like Travertine en-suite master bath with double sink vanity, soaking tub and step-in shower. Enjoy an unprecedented host of amenities including 24/7 concierge, valet parking, outdoor terrace with fire pit, fitness center, hot tub, steam room, swimming pool and an exclusive bar/dining room. Millennium Tower With breathtaking views and luxurious finishes, Millenium Tower has it all. Standing 685 feet tall amidst the Boston skyline, this 2 bed, 2.5 bath, 1,366 square foot unit offers 1 valet parking space and custom finishes throughout. Building Amenities: Concierge Valet Owners' Lounge Private Dining 10000 sq ft Gym Indoor Swimming Pool Jacuzzi Game Room Media Center Theater Midtown The Financial District of downtown Boston contains many high-rise buildings for both corporate and residential use. Residents of the neighborhood appreciate the lively social atmosphere of many restaurants, bars, smaller music venues, and public outdoor spaces. The Financial District is one of Boston’s original neighborhoods and dates back to the pre-Revolutionary War. It is home to many historical attractions and landmarks including Quincy Market, the Old State House, and the Freedom Trail. Our Favorite Spots and Things To Do: For a trendy night out, check out Ruka Restobar featuring Peruvian-Japanese-Chinese cuisine and specialty cocktails. For sushi, visit Pabu, located in the Millennium Tower. Sun-splashed penthouse duplex offers 3 bedrooms, 2 bathrooms, expansive private deck and wood burning fireplace. Upper level features vaulted ceiling and is flooded with natural light thru 12 windows and 3 exposures. Granite and stainless steel kitchen with ample storage including a pantry closet opens to dining and living areas offering the perfect floor plan for entertaining. King sized master bedroom and generous second bed each offer 2 exposures and double closets. Third bedroom is perfect for guest room, office or nursery. Great opportunity to live steps away from many of the South End's playgrounds, dog parks, restaurants, cafes and bars. Large private storage closet too. Rental parking options near-by. See agent. This won't last. This stunning, better than new, 2+ bed, 2.5 bath triplex has it all. State-of-the-art kitchen with quartz countertops, stainless steel appliances and large island with stool seating for 4 opens to spacious living and dining area with custom built in bar, perfect for entertaining. Sublime master suite boasts soaring ceilings with oversized window, custom built walk- in closet and spa-like sparkling white marble bath with double sink vanity, radiant heated floors and rain head shower. Master features a unique, bonus loft space perfect for a den or gym as well as an additional office with a closet. Large guest bedroom also features high ceilings and ample closet space. Thoughtfully designed and impeccably maintained, this home offers a highly desirable floor plan, high end finishes and custom touches throughout. Two car garage parking, in-unit laundry, central A/C, surround sound and media center complete this home. SOUTH BOSTON South Boston is a densely populated neighborhood located south and east of the Fort Point Channel and abutting Dorchester Bay. South Boston, most popularly known as Southie, was once a predominantly working class Irish Catholic community, but has become increasingly desirable among young professionals and families.South Boston contains Dorchester Heights, where George Washington forced British troops to evacuate during the American Revolutionary War. South Boston has undergone gentrification, and consequently, its real estate market has seen property values join the highest in the city. South Boston has also left its mark on history with Boston busing desegregation. South Boston is also home to the St. Patricks Day Parade, a celebration of the Irish-American culture and the Evacuation Day observance. Our Favorite Spots and Things To Do: Catch a football game at STATS Bar and Grille on Dorchester Street. Capo is great for dinner and a night out with friends Visit Loco on West Broadway for a margherita and some fajitas. 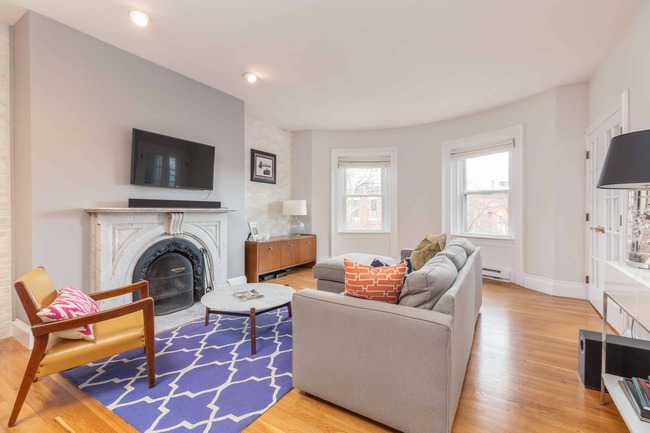 Sun filled 2 bed in the heart of the South End gracefully mixes period details with modern updates. 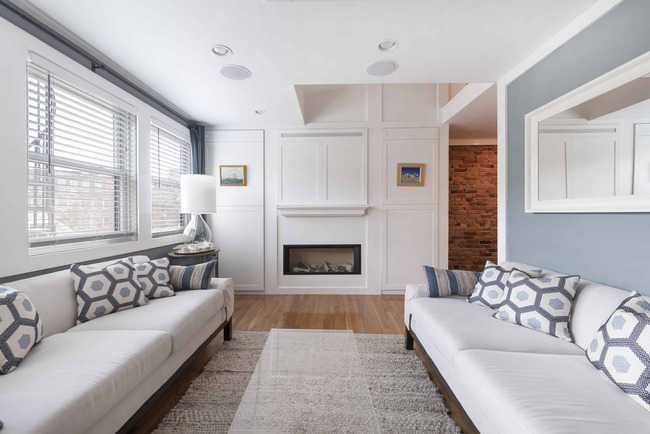 Open concept living room features soaring ceilings, marble fireplace, exposed white-wash brick and bay windows. Marble kitchen with stainless steel appliances boasts large breakfast bar and ample counter space. Spacious master bedroom with built-ins leads to private back deck. Updated bath and charming second bedroom complete this idyllic home! Steps to restaurants, shops, and the back bay station, 76 Waltham is South End living at its best! Sun drenched one bed penthouse in the heart of the Eight Streets neighborhood boasts thoughtful details and charm. Pristine, newly renovated kitchen with gas range opens to living room featuring gas fireplace, custom built ins with ample storage and three south-facing windows. King sized bedroom features two spacious closets. Sleek bathroom offers step- in shower with rain head. Large, in-unit loft space offers expansive additional storage. Private rear deck and sprawling private roof deck with panoramic city views sets this home apart! Ideally located, meticulously designed and maintained. Single family home for rent in South Boston. 4 bedrooms, 3 bathrooms, open kitchen/ living layout, huge private backyard and driveway parking for 2 cars. Can be rented fully furnished or unfurnished. Spacious master suite offers large walk-in closet and spa-like master bath with soaking tub and step in shower. Fantastic South Boston location.